Serving veterans with yoga is one way to practice the yogic principle of seva. On Veterans Day, we honor those who have risked or lost their lives in service to our country. But more importantly, we might ask ourselves this pertinent question: “What have I done to be of service lately?” As the holidays approach we may sign up to volunteer at the local homeless shelter or hospice center, or explore the ways in which we can give back to our community. But by simply checking off from the to-do list that we have “served” and can continue going about our business as usual, we might be missing the mark. Dan Nevins, a veteran who lost both of his legs during the second Iraq war, is now a certified Baptiste yoga teacher. He describes regular selfless service—known in yoga philosophy by its Sanskrit name, “Seva”—as a karmic loop. The now retired Staff Sergeant believes that through yoga, we serve ourselves first through our practice, which develops the empathy to truly want to serve our community on a grander scale, thus deriving a certain level of personal satisfaction from that service. Being of service can either light us up or stoke the ego—a determining factor of whether or not that act of service was selfless (instead of selfish) in nature. Service fosters spiritual growth and just like any other undertaking, it’s a journey that begins with a single step. Is there a local nonprofit within your community that you would like to help expand? Would you like to see your workplace become more charitable? Draft a plan and then execute it. “Whenever I give, I learn what it feels like to receive—even if it’s just to help other people’s basic needs to be met,” Dan said, “to see their faces, to relieve their burden—it’s amazing what it does for me.” When we become inspired to help others, the results from that act inspire us to do more. Dan served his time in the U.S. Military, but it was his service through yoga that expanded his ideas about what service meant. After studying yoga philosophy during teacher training he drew parallels between these two polar opposites: yoga and the military. He described serving his country and serving through yoga as remarkably the same and yet, incredibly different. He believes that both disciplines fulfill the same need in the end: To be in contribution to something that’s bigger than yourself. During teacher training, which he enrolled in just one month after his first yoga class, Dan began to look outside the physical asanas—taking the lessons he’d learned on the mat and apply them to his day-to-day life. He said that taking himself to the very edge of his abilities in his practice and not giving up is something that any yogi can do. The wisdom and insight gained on the mat can be directly shared with others, making this an act of selfless service. If you are not currently serving anyone but yourself, then it is time to take action. Connect to underserved youth in your community and teach them how to read and write. Spend time with the elderly or with veterans of war. For Dan, sharing his healing journey through yoga was what he most identified with, though it has evolved into many other forms. He has taught all over Africa, and has worked closely with the good folks at the Africa Yoga Project. His mission is to empower populations there to lead healthier lives by educating them in mind-body-wellbeing modalities. More than 70 percent of African youth live on less than $2 USD per day, and many of them are unemployed. Dan can’t seem to stop expanding the ways in which he can serve through yoga. He was recently the first yoga teacher to be invited into the Maximum Security division of the United States Penitentiary in Terra Haute, Ind., where he led some 50 inmates through a practice. “It was beautiful to see that [the inmates] are taking that time to do something to better themselves—and that I got to be a part of that contribution,” he said. Nevins may be most revered for his work with veterans across the country. He understands the role that a soldier must take upon signing their life away for four or more years in service to their country. He’s aware that not all civilians acknowledge that many soldiers are actually working toward the greater good: to protect our freedoms and values. In his eyes, a soldier is someone who takes action to help make the world a better and safer place. But the violence that ensues and the horrors and tragedy witnessed leave many soldiers unable to cope with the aftermath once their service has ended. Veterans have a suicide rate 50 percent higher than those who did not serve in the military. Organizations like The Wounded Warrior Project offer adaptive yoga to help returning soldiers cope with PTSD and rehabilitation, and many studies have shown that mindfulness practices can facilitate healing and chronic pain management among veterans. But it’s not enough. 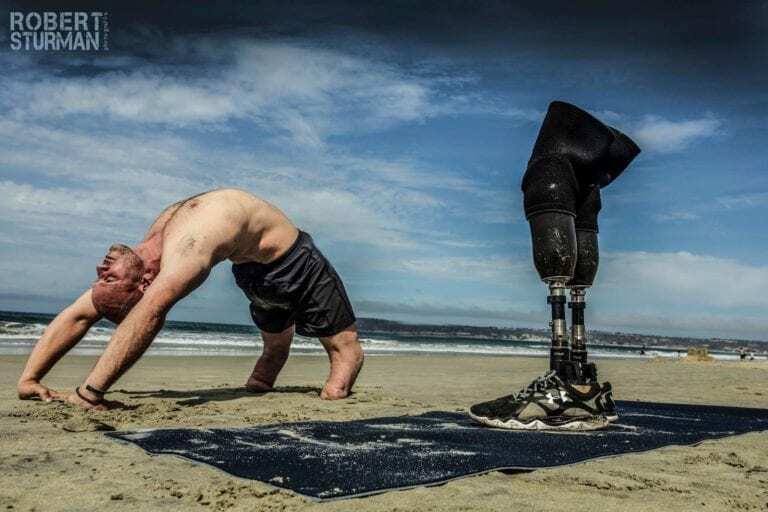 Over the course of his work with veterans, Robert became so inspired by their stories that he recently put out a global call to action to yoga studios, urging them to offer free yoga for veterans during the month of November. Hundreds of studios have already joined the collective cause, which could play a part in diminishing the veteran suicide rate if it is successful. “I just want to make art that touches the hearts of others, and helps veterans to be better understood so they can be whole again,” Robert said. Dan will often describe the residual trauma that many veterans face as the “invisible wounds of war.” To cope with his own illusory battle scars, it was yoga that helped him to realize that mindfulness can exist within many different practices. His passions for riding horses, golfing, fishing—and even milking cows—have inspired the Warrior Spirit Retreat, a farm-to-table sanctuary tailored specifically to veterans and their families. He believes that the same “mindfulness recreational activities” that helped him to re-establish inner peace will help bridge the gap among skeptics. Yoga and meditation will be part of the regular rotation there once the doors open sometime in 2018, but the main draw will be getting veterans back in touch with nature, and with themselves. Dan will also attest that there was once a time when he too, had dismissed yoga, a practice that eventually became integral to his healing and inspired a life well lived in service to others. “When I teach yoga, I often talk about discovering empowerment within the full possibility of a pose,” Nevins said. “I say, if you can, then you must!” For Dan, the same principle ought to be applied to life: if you can, then you must. It’s like the old saying goes, “Idle hands are the devil’s playground.” In other words, if we have the ability to serve, then why continue to sit on our hands? 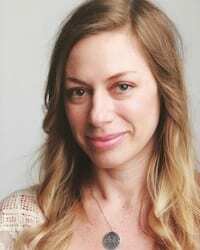 Andrea Rice is a writer and yoga teacher in Brooklyn, NY. Her work has also appeared in The New York Times, Yoga Journal, NY Yoga + Life, SONIMA, mindbodygreen and other online publications. Connect with Andrea on Instagram, Twitter, and her website.